Asphalt is a byproduct of petroleum which is widely used in the construction industry. It releases potentially harmful fumes as it is heated for use. If possible, a hazard must be fully eliminated or at least substantially reduced to keep employees safe. Below, you’ll see different controls arranged in order of their effectiveness that you can implement in your workplace. 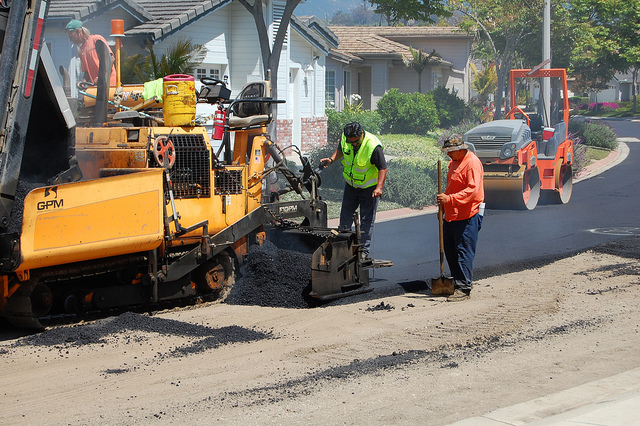 When doing tasks that involve asphalt, the most efficient form of control is to fully eliminate the risk by substituting a safer material or method. Consider whether using a less hazardous component aside from asphalt is possible. Can another method that produces less asphalt fume be utilized? Can improvements be made with the ventilation? Are workers trained in safe work and safe housekeeping practices? Are warning signs posted within the area? Do employees always wear the proper personal protective equipment while working? Are workers trained on proper use and maintenance of the PPE?